Herbal medicine & nutrition. Also: Massage, pregnancy massage & infant massage classes. >> Alison works at Dural on Fridays. Book with her online HERE, or phone 02 9653 9944. Alison is a passion ate and caring Naturopath, who also provides Remedial Massage. Alison has been in practice since 2008 and considers herself blessed to be able to work in a field that interests her deeply, brings her satisfaction and allows her to continuously learn and evolve. 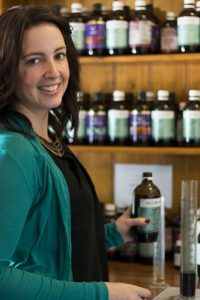 She enjoys helping people pursue health and vitality by blending traditional healing methods of herbal medicine, diet and lifestyle counselling and flower essences with the latest research. She is thorough and caring, with an individualised approach to treatment and diet.